It is no secret that buying a Co-op in New York City can be a long and daunting process. New York is a city comprised almost entirely of cooperatives and condominiums along with a smaller selection of townhouses. Below is a comprehensive guide on everything you need to know if you are considering or have decided to purchase a co-op. What Makes Buying a Co-op Attractive? Is Buying a Co-op a Good Investment? Typically, if a building is older (built pre-1980’s), it’s usually a co-op. These buildings make up approximately 80% of the non-rental apartment stock. 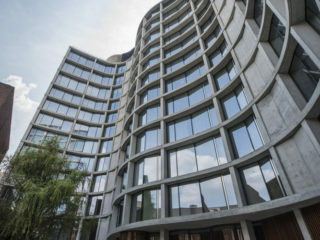 Unlike a condo, cooperatives are owned by a corporation, which means that when you buy an apartment in a co-op building, you are not buying real property (as you would in a condo). Instead, you’ll be buying shares in the corporation. These shares entitle you to a proprietary lease, which makes your relationship in the building closer to that of an investor. The larger the apartment, the more significant the number of shares allocated. However, purchasing a co-op apartment is not a simple process. Cooperative boards don’t take on anyone. Buyers have to pass a lengthy board application review along with a co-op board interview. Until then, you’re not even near to closing. 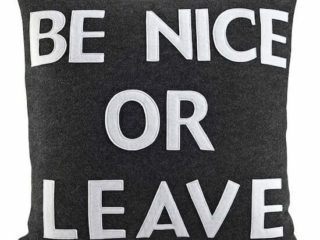 It’s an ordeal that drives many people away. But with the right knowledge and an experienced real estate broker, you’ll be far more confident of success. This complete guide will take you through the entire process. By its end, you’ll know everything there is to know about the co-op purchasing process in NYC. Co-op apartments are less expensive than condos. Buyers jump through hoops to get their co-op apartment. There are also restrictions concerning renovations and selling. This discourages people from buying co-ops. Therefore they cost less than condos. In most co-op buildings, workers handle all repairs, maintenance, and security. Co-op owners save money over the years. Co-ops are more stable than condos. The vetting process is a con. But it’s also advantageous. Co-op boards review each buyer’s finances and references. Owners cannot freely use their co-op as an investment rental property. The board also considers if the buyer is good for the building. Therefore the building avoids an influx of guests. Co-ops outperform condos in market downturns. The vetting process eliminates the risk of investors buying shares and liquidating in times of hardship. More than 70% of NYC housing stock is co-op. Co-ops do not allow part-time residence. Buyers cannot purchase their unit as investment-only. The co-op prioritizes stability within the community. International purchasers are usually prohibited. The interview digs into buyers’ personal and financial lives. You can read about the co-op board interview process in this Elika Insider blog. You may be rejected. Then you start at square one once again. Co-ops require higher down payments than condos. Some co-ops reject buyers using loans to finance their purchase. The co-op board controls changes to units. Some prohibit renovations, like adding another bathroom. Others do not allow a washer and dryer. Co-op owners pay a flip tax. The amount ranges from 3-5%. This money builds up the building’s financials. The co-op board approves to whom you sell. You may lose a buyer if the co-op board says no. Then you’re back on the market. As mentioned, New York’s housing market is mostly comprised of condos and co-ops. Which one you choose depends entirely on your personal and financial circumstances, your lifestyle preferences and experience. For many buyers, it’s the price difference that pulls them in. Co-op apartments typically sell for 10-40% cheaper than condos of similar size and quality. 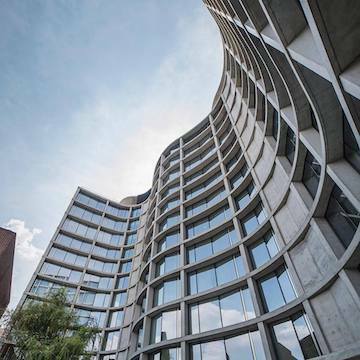 Part of the reason for this is that co-op buildings tend to be older with fewer of the bells and whistles that are seen in the thousands of condos that have been going up in the past decade. Many new condos also tend to have far higher closing costs if you’re taking out a mortgage. Another reason co-ops are less expensive is that buyers have to be approved by a board. Along with the hassle and chance of rejection, you’ll also be opening your financial records to folks you’ll be sharing the elevator with for years to come. Because of this, prices are often lower to entice buyers. Another significant difference between co-ops to be aware of is the strict rules and regulations. The co-ops shareholders elect a volunteer co-op board that oversees the care and maintenance of the building. The board creates and enforces rules about everything. Whether pets of any kind are allowed inside, what sort of renovations are permitted and restrictions on noise levels at certain times. Unlike condo boards, they have the power to evict an extremely disruptive shareholder and force them to sell. In summary, what makes a co-op an attractive choice is the lower price tag and more space. Buyers who don’t want to deal with hour-long commutes from out of the city will find co-ops the best choice. Before you can start looking for your dream apartment, there are a few things you need to sort out. The first thing is your savings and finances. Down payments on co-ops can be as high as 30%. You should also know your credit score. Unless you’ve got a substantial amount of savings, you’re going to need a mortgage loan to purchase your first co-op in NYC. Your credit score will determine whether banks will lend to you or not. As such, you’ll need to raise it as high as possible and keep it there. You should also research everything related to buying an apartment in NYC. This means completing a REBNY financial statement so that you have a clear understanding of your financial picture. You’ll also need to look at your debt-income ratio, how many liquid assets you’ll need to cover the down payment, closing costs and satisfy the co-ops post-closing financial requirements. You’ll also need a good understanding of the NYC real estate taxes you’ll be facing when buying, owning and selling an apartment in NYC. Lastly, you should research what the most common co-op buyer mistakes in NYC are. Learning from the experience of others will make you far savvier when the real search begins. When searching for an apartment in NYC, it doesn’t take long to realize how much more affordable co-ops are to condos. There are good reasons for this such as a higher inventory and the troublesome board approval process. So the next question is – what are the usual financial requirements for buying a co-op in NYC? This article will cover just that. By its end, you’ll know the financial requirements for buying a co-op and be able to start planning. Each co-op has its own rules and regulations, but in general, you can expect the required down payment to be 20%. However, that said, you can also find co-ops that require 25%, 35% or even 50% to guarantee the purchase. Just because you have enough money for the down payment and closing costs does not mean you’re in the game yet. Another crucial aspect is the amount of post-closing liquid assets to your name after closing. Once again, every co-op has its requirements, but the average demand is 1-2 years. Liquid assets are preferred as they’re a better guarantee, but other reserves can also be used such as cash, mutual funds or anything that can be quickly converted to cash. Retirement funds and real estate are excluded. In some cases, co-ops will make exceptions to this if you have limited assets but a high salary, or a low salary but substantial assets. These cash reserves ensure that you can pay your mortgage and maintenance costs for at least two years after closing. Your post-closing liquidity is calculated by dividing the sum of your liquid assets through your monthly co-op carrying costs. For example, let’s say you have a monthly mortgage payment of $7,500 and a maintenance fee of $2,400 with liquid assets are $200,000. Your post-closing liquidity would be $200,000/$9,900 = 20.20. This gives you about 1.5 years of post-closing liquidity. To ensure that the co-op remains sustainable, the board requires that all buyers can keep up with payments. This makes your debt-to-income ratio as important in calculating your finances. The typical ratio required of most co-ops is between 25-30%. There will be exceptions to this, as mentioned above if you have a lot of liquid assets. Board members will also take into account your employment record and multi-year income history. They like to see a record of consistent employment and a steadily increasing income. This can be a problem if you’re self-employed. 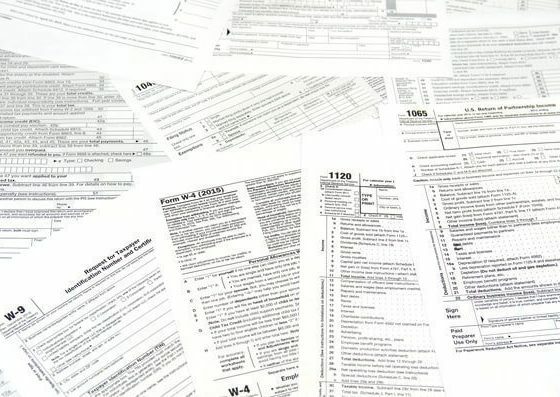 In that case, you’ll most likely need at least three years of tax returns along with a notarized letter from your account for the board to see whether your income has gone up or down in that time. Boards may also take into account your earning potential. If your current income does not match the board’s requirements or your assets aren’t enough, but you can demonstrate the potential for the increased income they may make an exception. Keep in mind that in such cases you might be asked for a year’s maintenance to be held in escrow. To calculate your debt-to-income ratio, you must compute your total income and find the percentage your debts are of that total. For example, if you have a monthly income of $6,000 and monthly bills of $2,200 your debt-to-income ratio is 36%, as $2,200 is 36% of $6,000. Working out the financial requirements for buying a co-op can often be tricky. Hiring a qualified buyer’s agent can make things more comfortable and faster but even with that expect the buying process to take some time. 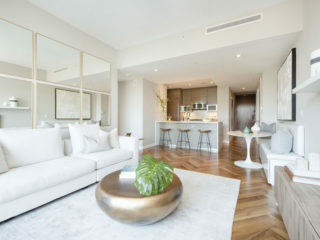 Once you’ve done your research and enlisted the services of an experienced buyer’s agent, then it’s time to start looking for your perfect apartment. This part doesn’t differ much from the condo search process. You’ll still need to attend open houses, and if you’re new to the city, you should do it often. This is more considerate of your brokers time as its hard for them to help you if you don’t know where you want to live, what exactly you’re looking for or what your price range is. When you are signing in for an open house make sure to write your buyer agent’s contact info. That way, the listing agent can follow up with them instead of harassing you with newsletters and offers. When you have a better sense of what you’re looking for, let your buyer’s agent know, and they can begin sending you some property suggestions. Try to be reasonable with your demands as the inventory in New York is not exactly overflowing. Stick with simple criteria such as price and number of bedrooms. 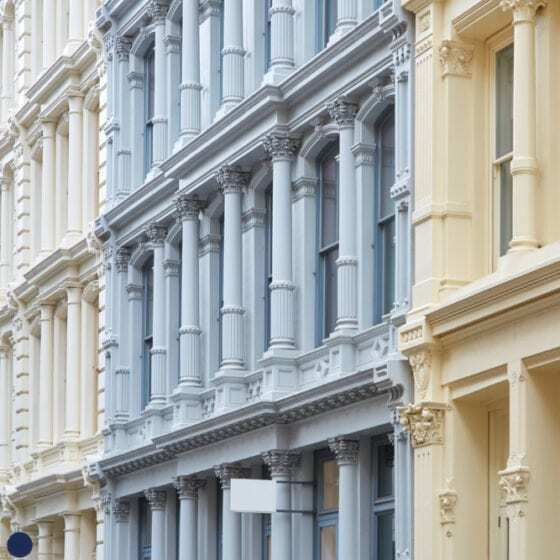 Would you prefer a doorman building or one with no doorman and less monthly expenses? Do you have a dog or cat and therefore need a building that allows pets? Most purchase contracts in NYC stipulate that the condition of the apartment must not have changed substantially since the signing of the contract. The only way to prove that is to take a lot of photographs. Since properties in NY are sold as is, there is no way to prove otherwise if anything has changed when you close the contract. So when you’ve found a place, or several, that you’re interested in, arrange a private viewing and take those photos. Now that you’ve found the perfect apartment, it’s time to make an offer. If you’ve signed up with an experienced buyer’s broker, they will guide you through the whole process. They’ll explain everything about the closing process and what happens between offer, acceptance, and closing. You’ll be happy to know that once your broker has received an accepted offer, they will introduce you to an experienced real estate attorney. The above will be sufficient for the vast majority of co-op listing agents. However, a small minority may require a signed Submit Offer form also. Your broker will negotiate the offer with the listing agent on your behalf. If the offer has been accepted or if a counter-offer has been made you’ll be informed immediately. If there are multiple competing offers, you may end up in a best and final offer situation. 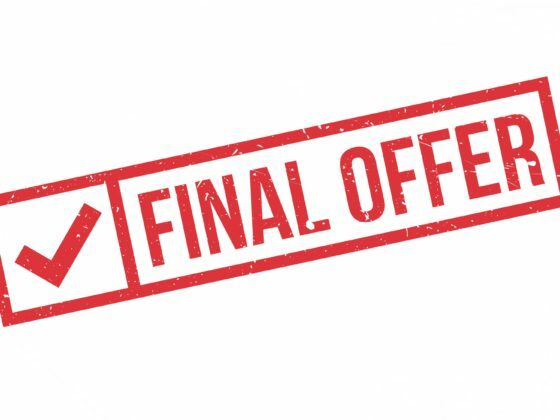 In this case, all bidders will make their best offer by a final deadline, with the best offer being accepted. Keep in mind that real estate offers in NYC are not binding. Even if it is in writing nothing becomes legally binding until both parties have signed the purchase contract. You could sign your purchase contact when submitting, to show that you are serious about closing. But it won’t become binding until they sign as well and return it to your attorney. Once you have an accepted offer, the seller’s broker will circulate a deal sheet to your attorney, the seller’s attorney, and both brokers. The purpose of this is to put the two attorneys in touch so they can state the basic terms. After your attorney has negotiated the purchase contract, you meet to review everything before signing on the dotted line. Once done you’ll also hand over a check for a 10% contract deposit. Your attorney will then deliver all this to the seller’s attorney for counter-signing. What follows is a tense day or two for a response. If the seller is good to go, you should have a fully executed contract within that time. However, there are cases where the seller shops a buyer’s offer and goes with a better offer. If that happens, there’s nothing more the buyer can do if there is no contract signed by both parties. If you’ve made it this far, you are now “in a contract.” Neither side can now back out without legal penalties. The one exception to this is if the co-op board rejects the application. If that happens, then you can exit without penalty. Once you have a fully executed contract, you should immediately start putting together your co-op broad application. As soon as you have a signed contract, you can begin soliciting friends and co-workers for personal and professional reference letters. Typically, these take the longest time to collect so the sooner you start, the better. Ensure that everything on the board application is filled in. If something doesn’t apply to you, write “N/A” instead of leaving it blank. Your buyer’s agent will help you with this and guide through the whole process. It is vital that you follow all instructions on the co-op board application to the letter and that you submit all requested documents. If you are taking out a mortgage for the purchase, you’ll need a loan commitment letter and an Aztec Recognition Letter, both of which your broker or bank can help you with. You should take your board application very seriously as any mistakes, or un-submitted paperwork could cause delays or even lead to the whole purchase falling through. You should also have it neatly organized with a table of contents and page dividers. By the end, you’ll have a lot of paperwork so it should be well ordered and presented when you deliver it to the listing agent for review. If you are uncertain of anything or want to know how strict or liberal the co-op board is, have your buyer’s agent discuss with the management company. Now we come to what is, for a lot of buyers, the most nerve-wracking part of the co-op buying process. The co-op board interview in NYC has a pretty bad reputation for being intrusive and unpleasant. That said, it’s rarely as bad as many people make it out to be. Remember to keep it short, sweet and polite. Answer any questions they ask and stay on topic. Often, they’ve already approved your application from seeing that you are financially qualified. They want to meet you in person to see what you’re like and make sure you would make a good neighbor. Still, you should be well prepared for it and read up on how best to pass the interview. Your broker can tell you what to expect from this particular board and what their biggest concerns with potential neighbors are. If everything has gone well, you’ll receive notice from the managing agent that you’ve passed the board interview within one or two business days. If you’re lucky, you may even get an informal indication that you’ve passed after the board interview. Once the co-op board approves, you’ll need an all clear to close the bank. From there your attorney will work with the seller’s attorney and your bank to coordinate a closing date and process for the sale that works for all parties. Keep in mind that a commitment letter will be needed from your lender for the purchase application submission. To ensure that your lender is right to go once you receive board approval. Your buyer’s agent will schedule a final walk-through of the apartment, usually the day before closing or even on the same day. Use this opportunity to take one final look at the property before the close and make sure it hasn’t substantially changed since you last saw it (remember to take those photos!). Check that all the appliances, toilets, showers, sinks, lights and electrical outlets are in working order. You should also check for any damage that may have been caused by the movers when they moved out of the seller’s furniture. Most closing days take place at either the managing agent’s office or the seller’s attorney’s office. Usually present will be the seller and buyer, attorneys representing the banks, along with a closing coordinator to guide everyone through the closing process. The buyer and seller will also usually be present unless they have given power to their attorneys to act in their stead. Typically, the brokers are not present at the closing and will often pick up the commission checks at a more convenient time. There you go! You are now the proud owner of your own NYC co-op apartment. The whole process, when looked at in isolation, make seem long and complicated, but when laid out like this you can see how straightforward it is. Hiring a good seller’s agent will make the process run much smoother because, as you can see, there are many steps to a co-op purchase. Educate yourself about every level of it and stay well organized. When done right, co-op purchases can be a walk in the park. When it comes to choosing a home in New York, the choice is usually between a co-op and a condo. The two are vastly different in both the legal and financial areas as well as how you buy them. When it comes to co-ops, whether they make a good investment depends on what you are looking to do with it. 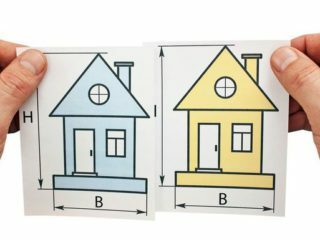 Are you planning to live in it for many years or rent it out? Whichever one you choose, these are the areas you need to consider. The main selling point for co-ops is how much you can save on them compared condos. If you have your heart set on a condo but are on a tight budget, you may need to change your mind. Co-ops in NYC usually sell for 10-30% cheaper than condos of similar size and quality. Co-ops are also far more plentiful in NYC then condos and in far less demand. Coupled with that you’ve got the co-op board approval process. It can be a long and sometimes frustrating ordeal that puts many people off. This combines to create very affordable prices for co-ops when compared to condos. If plans change and you need to sell the process is far more expensive and complicated then selling a condo. The high closing costs of a co-op sale coupled with the flip tax discourage many speculative buyers. If you don’t see yourself staying there for the long-haul co-ops, do not make an ideal investment. If you only need a place for a few years or are planning to sublet, condos make far more sense. They’re easier to sell as you fully own the unit and there are usually few restrictions on subletting. Co-ops are more suited for long-term ownership and the most part, are not designed with investors in mind. Most co-ops, if they allow it at all, require a period of residency before you can sublet your apartment. For example, a co-op board may allow sublets for every two out of five years. Which is still subject to board approval on a yearly basis. 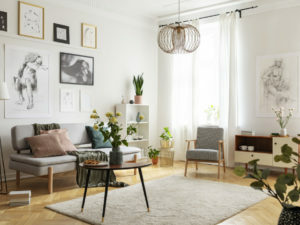 The subletting process for co-ops is entirely subject to board approval and a troublesome applications process that differs little from the board package purchase application that you have to go through when purchasing the unit. How do you feel about disclosing all your finances? Condo boards also require a financial statement and references, but the process is far more invasive and intense when buying a co-op. The co-op board is going to want to see everything as shareholder finances affect the whole building. In addition to other things, they’ll want to see proof that you can cover the down payment, know how much money you’ll have after the sale is closed and your debt to income ratio. There’ll also be at least one in-person interview with the board in which they’ll judge whether you would make both a good buyer and neighbor. There’ll be questions about your family, your job, previous homes you’ve had and what your plans for the future are. You’ll need to be comfortable with this because without board approval there’s no way you’re getting that apartment. Buyers with transparent employment and financial background on a budget who are looking to put down some roots will find co-ops to be an attractive investment. Although the board approval process can be long and intrusive, it does come with a feeling that you are part of a community, one that cares about the upkeep of the building and the kinds of tenants it allows. However, those who only need a place for the short term or wish to sublet would be better to look at condos. The strict rules on subletting and the high closing costs on a sale make them far from ideal for speculative investors. 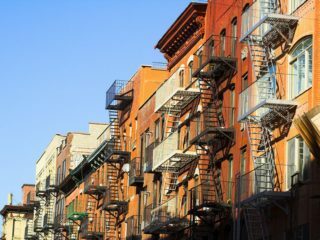 Buying real estate in New York City is a challenge, but even more, care must be taken when you are purchasing a co-op. Owning a co-op provides some benefits, such as not worrying about fixing the electrical/plumbing, or competing against foreign cash buyers to secure a home. But, we would like to use our experience to offer some potential pitfalls that you should know in advance. These are valuable lessons we can impart to you from our extensive experience in helping the city’s buyers find suitable co-ops. Avoiding these mistakes can save you a lot of time and heartache. The traditional real estate model is so ingrained; many do not realize there is another way. You should engage a buyer’s agent to help find your co-op. Under a traditional arrangement, the seller hires an agent, who lists the apartment and tries to find a buyer. This agent’s fiduciary duty is to the seller and does not represent your interests. His/her primary goal is to sell the unit quickly and for the highest price. The agent’s commission is greater as the selling price goes up. But, there is another way. A buyer’s agent has a fiduciary duty to you. His or her only goal is to make sure you get into a co-op that is right for you for the right price. Also, a buyer’s agent knows his/her way through the nuances of a board package that is crucial to get right to make board approval more likely. Your buyer’s agent also helps you prepare for a board interview. A lender’s pre-approval letter is a must have when apartment hunting in New York City. You may have a sizeable cash balance ready to use for the down payment. However, co-op boards typically require much more. The boards want to ensure you have enough liquidity to pay monthly maintenance after you close. Post-closing requirements are typically one to two years of maintenance payments, and the board favors cash and other liquid assets such as mutual funds or shares of stock. You need to adjust your expectations if you do not have the required liquidity. Another co-op building may work since boards have different requirements. Many people are turned off or intimidated by financial statements. You should not be one of those since you do not need to be a CPA to understand what is going on. But, what do you need to hone in on? You want to see that an accounting firm correctly audited the statements, mainly if it is a large building. When looking at the financials, start with the balance sheet. A key figure to look at is the cash balance. Ideally, there is an adequate reserve covering three to six months worth of expenses. If not, you may be charged a special assessment for an emergency such as a new roof or elevator repairs. You can also check how much debt the building carries. Turning to the income statement, see the sources of income. Ideally, you want a significant portion to come from commercial rents, which help keep your maintenance fees down. You can also see the expenses to learn what the co-op is spending its money on. The statement of cash flows is beneficial since it tells you how the co-op is spending its money. You want to see that it is generating positive cash flow. Otherwise, you can expect a hike in your maintenance fees down the road. You have checked the building’s financials, and everything checks out. Are you in the clear? Sadly, the answer is no. You need to do the rest of your due diligence. 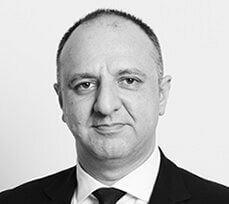 Is the board involved in a series of lawsuits? You can check here. As part of your detective work, you should also read the board minutes as well as review the building board application to make sure you can provide everything needed for approval. 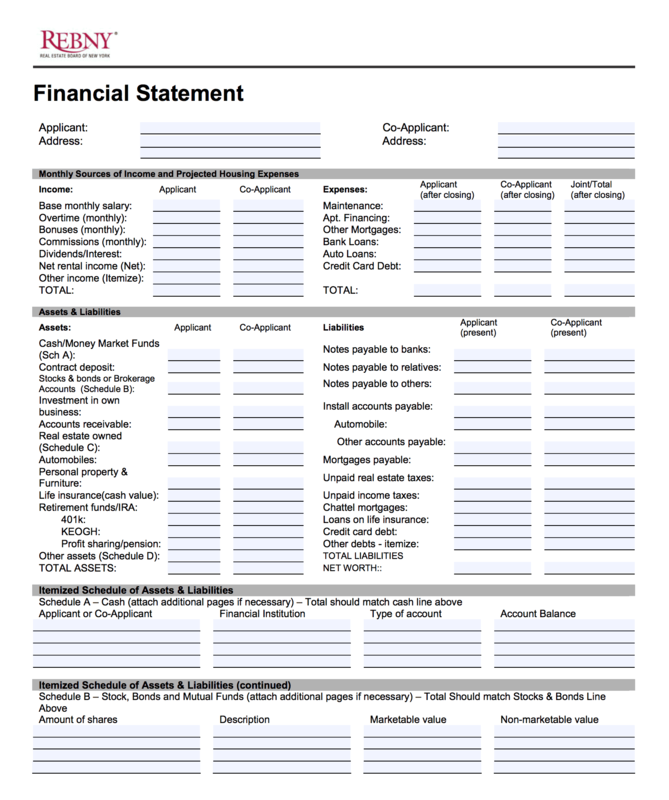 A REBNY financial statement form or something similar is requested in all board packages. It is essential to start with this even before going to see a co-op. It allows sellers to compare the financial strength of competing buyers. 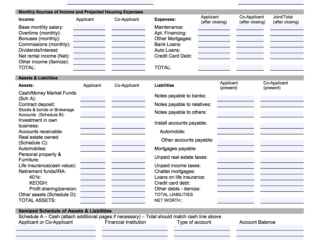 The form lists your assets, sources of income, and debt/income ratio, among other things. Your homework should also include doing a check of the building’s structure (you can ask to see reports or hire your engineer), while you can walk around the neighborhood and the building to see what it would be like living there. You only get one chance to make the right impression. It is tempting to present a low ball offer, but in this market, it might be quickly rejected, and you may not get a second chance. Similarly, you may bid too high, and end up overpaying. Remember, if you engage a buyer’s agent, he or she is on your side. An exclusive buyer’s agent runs a comparative market analysis and is in the best position to advise you on the right offer. For instance, the agent will let you know if there are exceptional circumstances that he/she is aware of that can help your bargaining position. A couple of common ones are a pending divorce or if the owners are buying another property and may not want to have the burden of carrying both properties at the same time, thus looking to sell sooner rather than later. Also with co-ops, it is not just about the price you offer but the package as a whole. You will be you in a competitive position if you work at a large company with a clear history with supporting letters and documents. 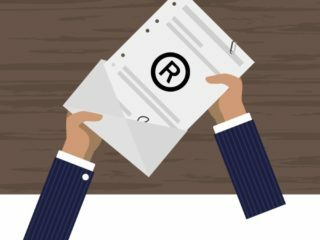 If you are a freelancer with less transparent past, this will likely cause the seller to have a concern on whether the board will approve you. A good offer with a well-compiled board package and supporting documents helps you get a board interview. There are lenders that will not extend mortgages to buyers in certain co-op buildings. This is not based on your financial situation, but, rather, there is an issue with co-op building itself. There are several reasons this could occur, such as the poor shape of a building’s finances and pending litigation. These serve as red flags, and knowing this ahead of time saves you time for you to find your dream co-op unit in a great building. It is not enough to have your offer accepted by the seller. You need to pass muster with the board, which are notoriously strict. You need to put together your board application and financial package. Following this, the next step is to prepare for your interview. Your agent can help you, but do your part and take it seriously. New York City’s co-op boards generally do not like owners renting out units, preferring owners occupy the unit. Typically, boards either forbid subletting outright or place strict time limits. If you are looking for investment income, a co-op is not ideal. Condos usually have less strict requirements. Your lawyer is another important person on your side. He/she helps you by conducting due diligence, including reading the co-op’s financial statements and board minutes. Your lawyer makes sure you send the requested documents to your lender in the required timeframe and disperses the funds. Do not celebrate right after your offer has been accepted. An offer is not official until both parties sign the contract. 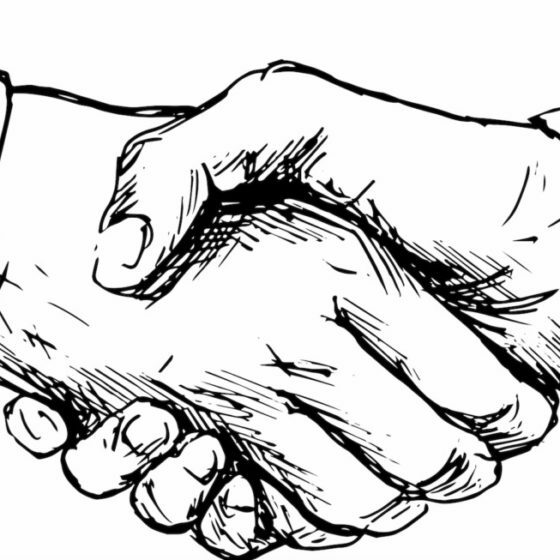 Even if the seller’s agent conveys his/her client’s acceptance, and you sign the contract, this is not a done deal. The seller can keep showing the apartment. It is tempting to pop the champagne corks, but you must resist. You must still pass the board’s interview. You should bring a copy of your board package to the interview and know your financial statements in case questions are asked. 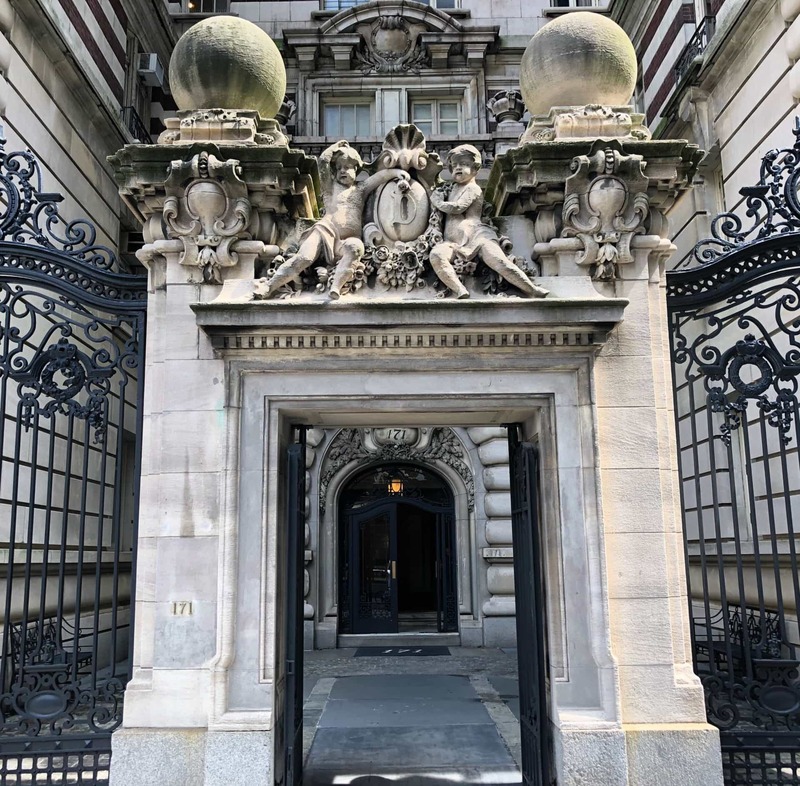 If you’re shopping for a co-op apartment, by now you have likely discovered that many co-op buildings are prewar, and most pre-wars on the market are co-ops. That being said, even though we all love the character of these old structures –– think hardwood floors, tall ceilings, and large spaces brimming with character and charm –– not all prewar homes are created equal. 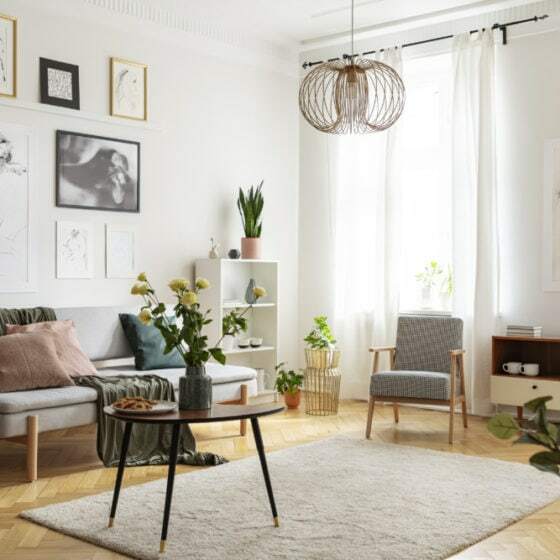 You’ll need to be on your toes during the search, so look out for these six red flags when shopping for a prewar co-op. Beware of cracks, especially if they’re horizontal. Vertical cracks are usually bothersome but less serious. Large horizontal cracks could mean structural issues and might be worth looking into. 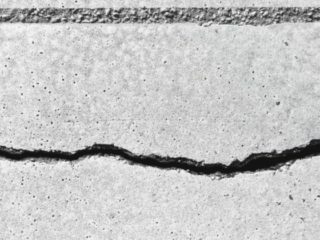 Cracks typically worsen over time if not repaired, so know that the apartment will require some work from the get-go. What’s more, just because a crack is repaired doesn’t mean it won’t return. If you’re considering making an offer, be sure that you thoroughly inspect the basement. Filled garbage bags, stray items, dirt, and a generally grungy appearance probably mean that the building is not that well maintained. When my husband and I were shopping for a co-op about six years ago, I recall a great apartment that we passed on because the basement reminded me of a horror film. We ended up buying in a building that was spotless, instead. I’m not sure what it is about odors in co-op apartments in New York City in general, but 18th and 19th-century brownstones and tenements (walk-ups) have thinner walls than grandiose prewar high-rise buildings, so you’re more likely to catch every whiff of smoke or aroma of Chinese takeout. Be on the lookout for anything attempting to mask said smells, such as home fragrances or candles. And know that if you choose an apartment above a restaurant, odors are pretty much guaranteed. If a sponsor rather than the shareholders own more than half the shares in a building, the sponsor will have control over decisions on issues like maintenance increases, repairs, and general operation. You’ll also have a tough time securing financing in a building in which the sponsor has more than 50 percent control. So unless you’re an all-cash buyer, you probably want to run from this. Structural issues aren’t uncommon in townhouses, especially. Looks at headers (the tops of doorways), and take notice if they’re sagging, or out of square. In a similar vein, do you recognize any slope in the floors? At this point, you might want to hire an engineer to inspect the home, so you know what you’re getting into before even making an offer. Reasonably common in prewar buildings, estimates are typically in place for capital improvements. Most often, these charges are added to your monthly maintenance bill. Ask questions about the project and improvements, and how long the extra costs will be assessed. Also ask if there are any forthcoming improvement projects you should know about, which would only increase your monthly expenses.